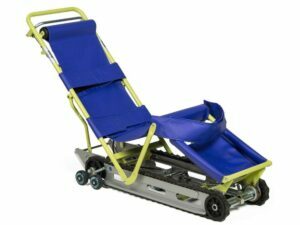 Evacuation Chairs are ergonomically designed and are used to transport someone with impaired mobility in an emergency situation to a safer location in a comfortable, secure and safe way. They can also be used for transferring people around a building efficiently. Evacuation chairs provide the perfect solution for people who have limited mobility, this could be someone with a physical disability, mental health issues, an injury or pregnancy. They are an essential piece of equipment for fire evacuation or lift breakdowns. The Regulatory Reform (Fire Safety) Order 2005 requires that all people including disabled people or people with limited mobility using the building be provided with adequate means of escape in case of fire. This includes a suitable personal emergency evacuation plan (PEEP) for all people likely to be in the premises, including disabled people, and how that plan will be implemented. Where an employer or a service provider does not make provision for the safe evacuation of disabled people from its premises, this may be viewed as discrimination. 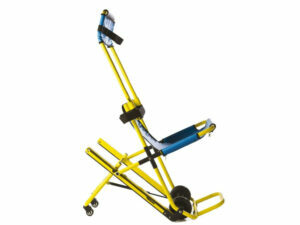 It is essential that when purchasing an evacuation chair that a suitable training programme is also implemented. ESL Services are dedicated to providing a nationwide full-training service to our customers. Our onsite face-to-face training courses are tailored for the Evacuation Chair or Stair Climber that your company has acquired. If you require training on more than one product, please contact us for any further details.